When someone in your life complains that you’ve changed, they are usually mad that you aren’t doing what is convenient for them. 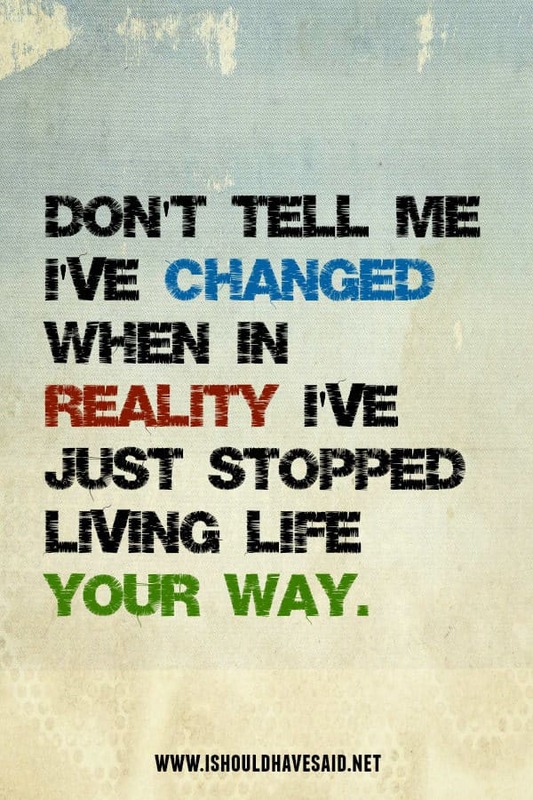 Sometimes people use telling you that you’ve changed as a way to manipulate or control you. If you are making positive changes in your life and evolving as a person, people close to you may not approve of the new fabulous you and complain about it. Don’t worry about the naysayers, you need to get on with it and do what’s best for you. If you are tired of people making negative remarks, try one of our clever comebacks below. I didn't change, you just never knew me. 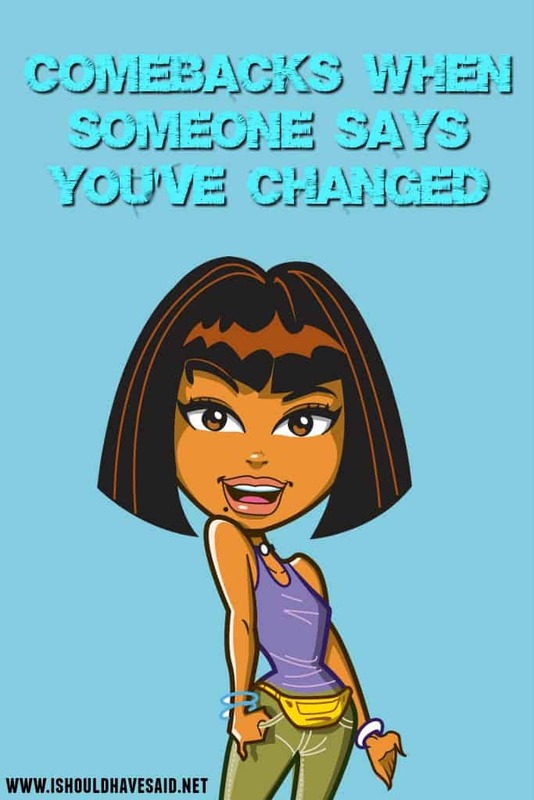 I changed? Either that or I just stopped acting the way you wanted me to. I'm making some changes in my life right now. If you don’t hear from me, you’re one of them. If you have a problem with me.. it's your problem. I didn’t change, I grew up. You should try it sometime. Hi , I was wondering what should I say if someone calls me demented ? Thanks so much! ?? 2)I’m not crazy, my reality is just different than yours. What should I say when an anonymous person tells me to change my rude attitude and stop being so nosy. Which im not. The nosy part.